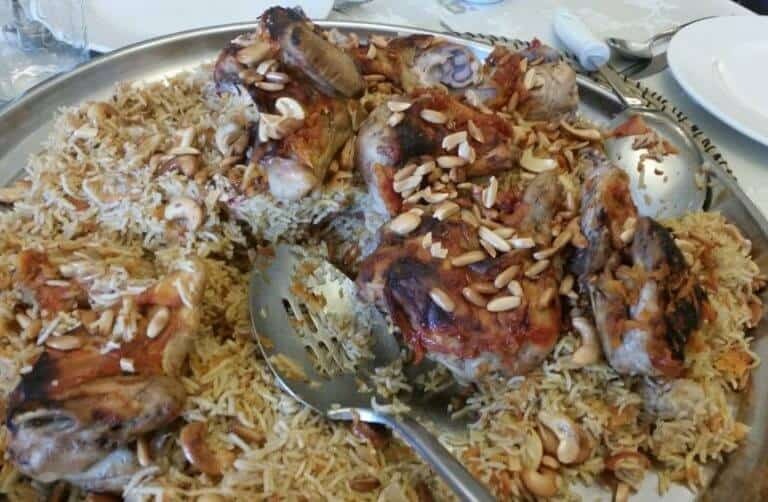 Al Thareed is a traditional middle eastern recipe. Thareed another name is Tharid recipe. Thareed is created with lamb, chicken, and also with just vegetables. Here, you can know how to make Thareed recipe with lamb or others. In a saucepan, boil the meat and remove the impurities from the water. Put some pieces of cardamom. Cook the meat till it’s half cooked. In another pot fry the onion, garlic ginger and chilies until the mixture becomes golden color. Add all vegetables with spices, tomato sauce and Omani dried lemon. Add water to the mixture and when it starts to boil add the meat and salt. Close the pot and allow to simmer on a low heat. Before serving remove the meat and some vegetables from the pot. Add alruqaq bread to the serving plate (deep plate) and some of Al Thareed till you finish all the quantity you wish to serve. Put meat and vegetables in serving place.